The small Piazza is new for Cruise 2019 in the Intrecciato Lace workmanship. The top flap is hand-woven from metallic nappa leather and framed in smooth nappa with a scalloped edge; the border between the smooth and woven leather is highlighted with oversized nappa stitches. 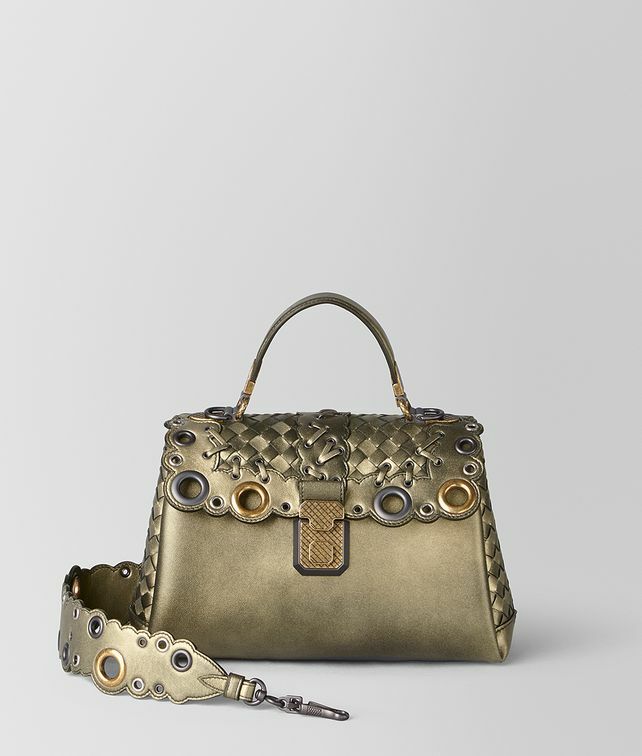 The perimeter of the flap and the wide shoulder strap are embellished with a range of metal eyelets in different sizes and finishes. Finished with intrecciato side panels and signature dark-gold hardware.